Talked with a friend several months ago who has seen the finished product and his very FEW comments were, its a big car! 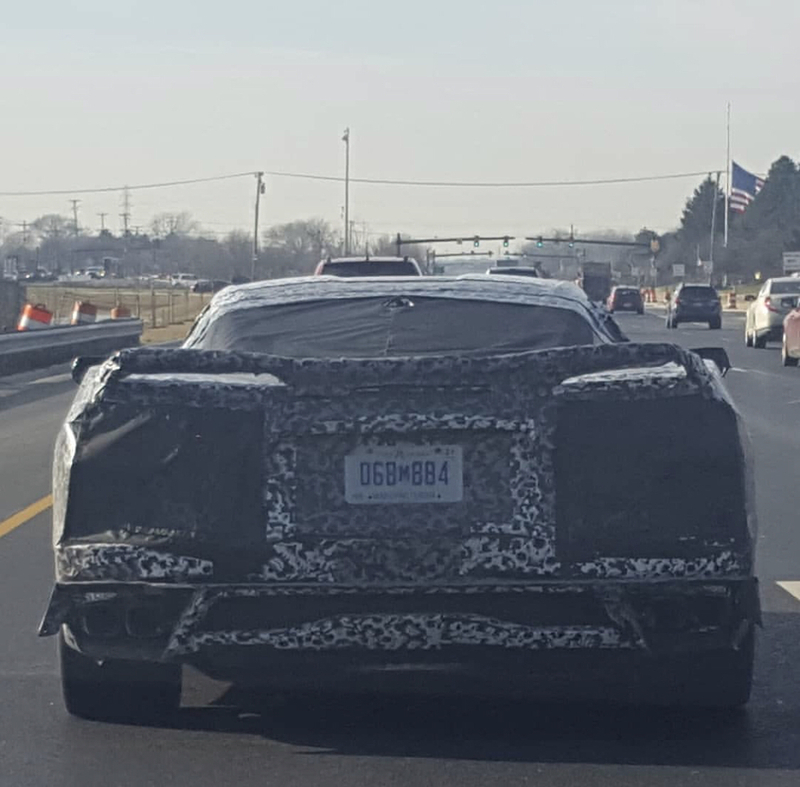 Probably be close to the ZR1/Z06 rear end. Things are getting interesting again, just in time for Christmas....thanks GM for throwing us a bone! .. It's not taller than the C7. In fact, the deck is shorter at the very rear. Last edited by C7pimp; 12-20-2018 at 03:16 PM. The C7 is very tall, but the blacked out lower half minimizes it visually. This car is all one swirl color. I expect with the standard spoiler and black lower trim it will be same or less than the C7. The above fascia is another very distorted picture. The height of an average person’s eyes are 60” above the ground surface, yet most renderings and pictures are taken way below that height, making for example the rear fascia above look much taller. When the ME is revealed, we will see the rear fascia appearing less wide than the entry Stingray’s and no taller than the Z-51 (for that comparable version). Yeah the rear end does sit a little high, but I'm still on the fence on the rear end design is. Or at least, the silhouette portion of it. The right answer: Not at all, looks gorgeous! Look at the people standing around it. Do we we think the photos above are different cars... made taller with bigger butts just for these pics. ? the guys belt is at the rear deck height. And he’s not the tallest guy there. Looks average. Last edited by firstvettesoon; 12-20-2018 at 04:41 PM. in fact we had worked out the wheelbase to be within an inch or so of the C7. Last edited by firstvettesoon; 12-20-2018 at 04:47 PM. We did work it out. The C8 is the same relative size as the current corvette, which is basically the same size as a 488 GTB, which is not a small car. It has a pretty large footprint. An Aventador however is considerably larger than a 488, Corvette, Huracan, R8, 720S etc. 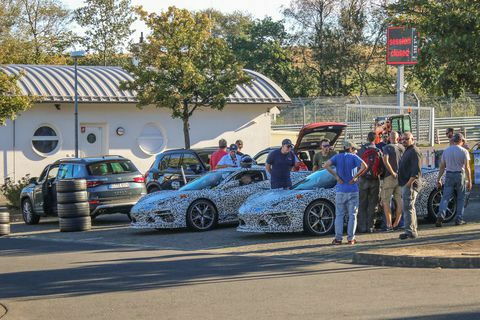 The rear deck height of the C8 at the rear extent is going to be lower than the C7 because it slopes downward whereas the C7 and C6 do not. Last edited by C7pimp; 12-20-2018 at 05:08 PM. I’m conditioned to say it looks perfect. Sure hope that's just a lot of padding hiding things. And a fake spoiler too. The cabin in a <rear> mid-engined car can be lower than the cabin in a FME car because the nose can be lower. This can make the rear deck look proportionately higher--because it is proportionately higher. The rear is not tall, the roof is short.